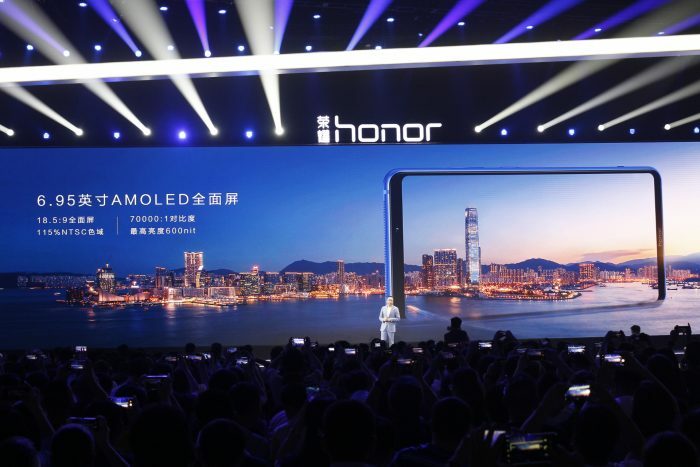 At its launch event in Beijing today, Honor has finally put an end to our anticipations and taken the wraps off its latest flagship smartphone — Honor Note 10. The device has been priced starting at 2,799 yuan and will go on sale from August 1. The Honor Note 10 sports a 6.95-inch Full-HD+ AMOLED display, with an 18.5:9 aspect ratio even though it doesn’t house a notch at the top. It also sports 2.5D curved glass, a 115% NTSC color gamut and 600 nit brightness, which looks like a display that would have no trouble in any lighting condition. Honor Note 10’s display is also HDR 10 compliant, boasting of a 20 percent increase in video playback quality. The company has greatly reduced the bezels on this device to fit in this massive display into this phablet to compete against the recently launched Xiaomi Mi Max 3. All this has been packed inside a gorgeous glass and metal body that looks quite similar to the company’s notched flagship – the Honor 10. The Honor Note 10, as one would expect, is powered by Huawei’s in-house flagship Kirin 970 chipset, coupled with up to 8GB of RAM and 128GB of internal storage. 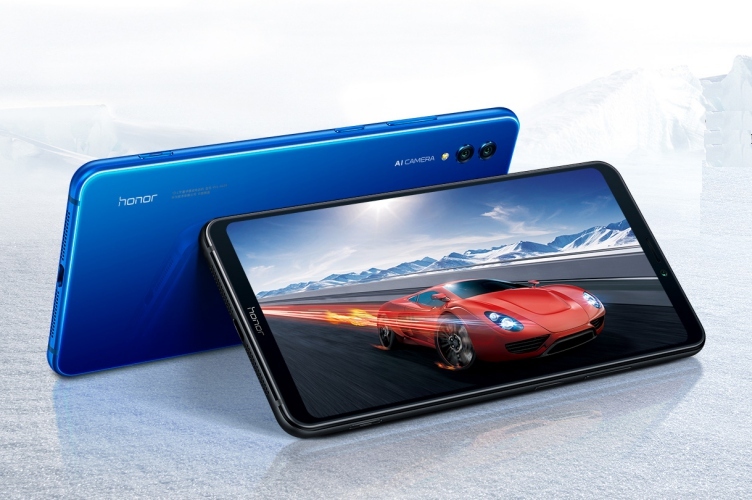 Honor has also baked in its recently unveiled GPU Turbo technology into the Note 10 to provide you a better gaming performance. You can now enable it via a software button, and also record your gameplay. However, that’s not all and Honor is now extending the same technology to your CPU as well. Yes, the Chinese giant has today unveiled CPU Turbo technology and included a physical button on its Note 10 flagship to activate this mode. This is further topped off by yet another eye-grabbing addition – heat dissipation hardware. Well, Honor Note 10 surprisingly also comes integrated with a physical heat dissipation pipe that sits on top of the company’s chipset. This heat dissipation pipe is part of a 9-layer cooling technology that’s been integrated within the Honor Note 10. The Chinese giant touts that it improves heat dissipation by nearly 41%, which means your device may not feel too warm after hours of gaming. You can read more about the cooling technology on Huawei’s website. Also, Honor has revealed its own variant of a Samsung Dex-like desktop experience with the Note 10 and it’s simply known as PC mode. The Note 10 enables you to easily cast your phone screen to a monitor, with built-in wired and wireless connections. This device also packs dual speakers, along with Dolby Atmos support for an immersive audio experience, and a huge 5,000mAh battery pack (with 5V, 4.5A quick charging support). Honor boasts that it’ll provide you better battery life than the iPad Mini, with a browsing time of 17.5 hours and video playback time of 15 hours. It runs Android 8.1-based EMUI 8.2 out-of-the-box. 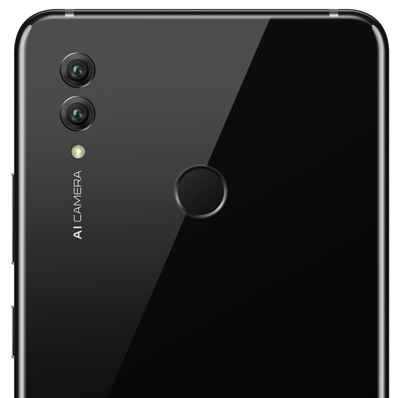 In the optics department, Honor Note 10 features a dual rear-camera system with a 24-MP primary sensor and 16-MP secondary sensor. Both of them have an f/1.8 aperture, which is similar to its parent’s Nova 3 smartphone launched in India recently. There’s also a 13-MP front camera, with an f/2.0 aperture, on board to satisfy all your social media selfie needs. The CPU Turbo button is multi-purpose and acts as the shutter button when you’re using the camera app. The Honor Note 10 will be available in 2 color options, Phantom Blue and Midnight Black but the company also announced a special-edition Honor Note 10 GT in Lily White color. 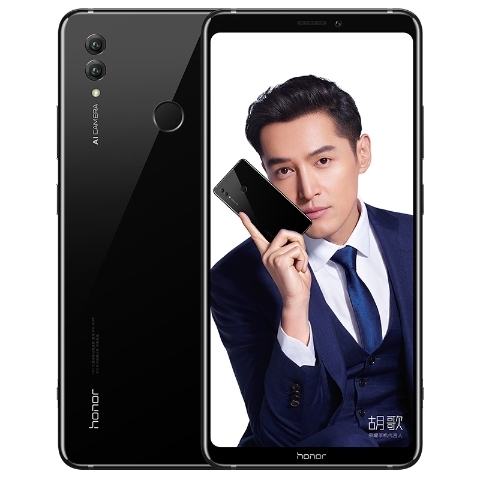 Honor has recently been trying to build its presence in each segment of the smartphone market but the Honor Note 10 will make the company stand out in the ‘budget flagship’ segment, compete against OnePlus 6 and attract phablet users in an instant. There’s no mention of an India launch just yet.